Over the years, the recruitment business has undergone major changes. In the infancy of the industry, it was about placing newspaper ads and waiting for calls back from interested job seekers. Recruitment companies and recruiters would wait for the word to make the rounds or just accept potential employees from word-of-mouth referrals. Eventually, ads gave way to job portals online. This allowed potential job candidates and companies looking for them to connect. Candidates were better able to understand the job profiles and the companies could see how well they fit the job before inviting them for an interview. In recent years, the Internet and the rise of social media have transformed the world of recruitment forever. The Internet Age and the recruitment industry are now able to provide a vast wealth of information to candidates and the companies looking for them. The company HR staffs can view resumes, post full-length job applications as well as provide details of various openings. Candidates can post resumes, leave job reviews and interview reviews. The future of this industry is most definitely driven by big data. Companies can find the best candidate for a job so much easier. If you are getting certified to work with big data, now is the time to get your career resume polished. There are specific ways in which big data has already changed the industry of recruitment. These ways include the following changes. Proactive searching has taken over proactive hiring. The recruitment industry has changed with candidates who are qualified for a position to determine the terms of the search now. Well-qualified candidates know the skills that they have and demand them when searching the job market. Companies now have to do proactive hiring in order find the best candidates rather than allow the proactive searching to be done alone. Big data helps these companies find the perfect candidates. Companies put a good deal of resources and time into conducting interviews. This is why they must be extremely careful when choosing candidates to invite for interviews. Big data offers insights that help companies find the best candidates so that they have a better chance of finding ideal workers based on their extensively detailed career profiles. This helps save time and money. It is not easy to find and court the ideal candidates in any industry. This is because there are lots of competitors in the recruiting industry now. The competition may jump on your best candidate before you even contact them. You need to market the company with big data’s help so that candidates notice you first. Know what policies your company has as well as its environment and present those to attract candidates. Big data will help you determine which people are interested in your company. One thing remains the same though, you need a good CV, so if you need resume writing help, get it. Social media has begun to have a very important role in the professional world. It is one of the most important things to both recruiters and the candidates looking for their help. Companies can also go through lots of information through social media to find the right people for their workforce with the help of big data. HR departments are tasked with the job of retaining employees, not just finding them. This is another area where big data helps by gathering internal data from a company. This data gives HR departments the information on the areas that they need to work on so that morale remains high and work environments pleasant. These are things that will keep employees happy and continue to be top performers. 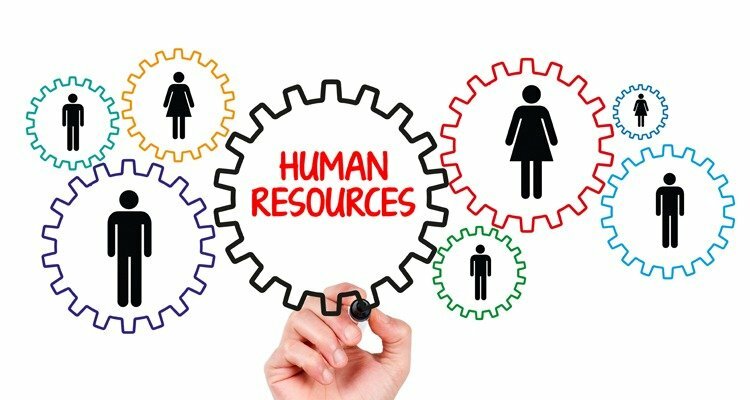 HR can understand the job market with big data. This lets them make good decisions with regard to employment policies. They can analyse the behaviour of the job candidates to get a better understanding of their wants and needs. Clearly, big data is going to play a crucial role in the future of recruitment. Recruitment businesses will be able to cut through the competition and find the best candidates for their clients. It has evolved tremendously from its beginnings in the newspaper classified section. Those were times where candidates would read a quick ad, phone for information and get connected with the recruiter. Then, the recruiter would screen the potential hire for the client. This process would take some time as the recruiter would have to go through several candidates before finding a few that would be ideal for the client. When the Internet arrived so did portals which connected the recruiters with the companies as well as the candidates. It was a faster process of finding the better candidates for a job. But, in recent times, the impact of social media on the Internet has truly transformed the speed at which recruiters help companies find the best employees. Previous Tax Calculation and Determination for Mexico.